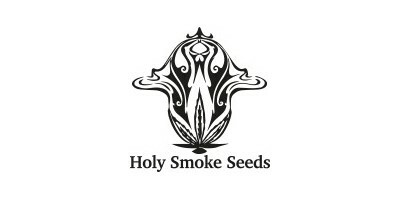 With 20yrs experience in the field and 8yrs judging cannabis for High Times, it's no wonder Holy Smoke Seeds sets its standards so high! Nick the head breeder has a massive library of past and present genetics, but it's his exceptional eye and ability to match strains together which has catapulted this company into the top echelons of the breeding circle. The demand for his product has soared, time and time again his hybrids are stand out against the crowd. Through Nick's dedication and passion, his strains are always so well received with great results. It's the quality of the stone that's so important to Holy's chief breeder whereas a lot of other companies focus on profit before product, Nicks outlook on life seems to shine through in his product. Some people just seem to have the knack for this and Nick is truly blessed in this department. They have a huge following from their early underground days and with a quality of product at the forefront he certainly exemplifies these traits. Packing is still done by hand to ensure every pack is checked, It's this dedication that has served Holy Smoke Seeds so well. Featuring in 4 different strain guides, with articles for High Times Magazine, Releaf and Weed World it's no wonder Nicks product is so in demand. 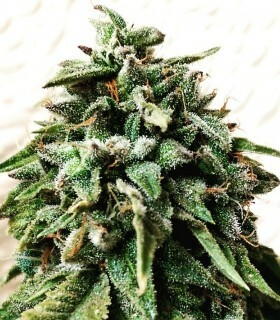 Alien Fire Fruit from Holy Smoke Seeds is derived from a cross of Fire Alien (OG Raskal) x Guava #13 (Topdawg). 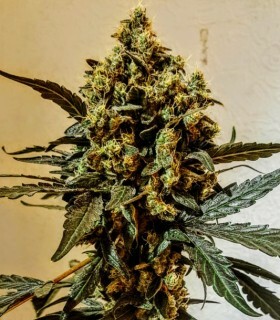 Demand for Blue Strawberry strain and outrageous growth from her has ensured her place in multiple operations and having bit time with her we are buzzing to finally blend her with such precision ..bringing the girth of the Sunset sherbert into play has tightened up with such density literally doubling the weight that can come off her.. Early Purple Kush and Vietnamese black bring a deep seated delicious tweak to the already outstanding Banana profile. Sweet and sour banana diesel is a real deal treat, especially for those with a sour diesel penchant as it's such a universally enjoyed sour strain whose effects are just magnificent. The three strains that make up half of this ice cream could not be more successful, GG4 cookies and cream and Platinum are so exceptional working with them has been one of the highlights of the year. Banana line stems directly from OGers Original Banana. 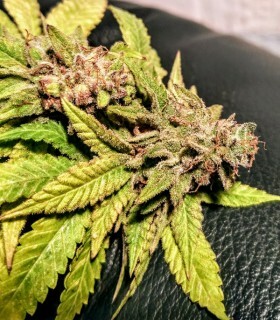 We managed to isolate the Sativa side, its pure bliss such impressive sweet ripe banana flavour and unmistakable sativa buzz bright and clear a perfect med. 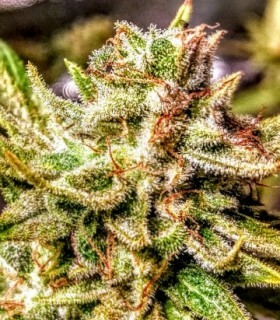 The OGKB cut right now is one of the most predominant cuts in the breeding circles it's the mother of the cookies and is really a special donor. She's like sunrise on the tongue every hit saturates those blue orange pink and magenta arrays as they flood the pallete it's the sweetest strain we ever produced with terpeenes this fine its a true isolate champion...exceptionally easy to grow and maintain too she's a pleasure to work with strawberries blueberries and bubblegum flavour.. Huge long thick covered trichomes buds, the length of your arm. A medley of sweet sugar fruit bubblegum dankness with incredible growing ability and vast sticky buds with a deep seated, but joyous stone. One for contemplating on or just basking in the brilliance of its bliss. It's a beautiful strong and heavy indica sedative with medicinal dark choc coffee caramel and butterscotch terps. Purple Punch has taken the world by storm lately with its outstanding flavours and copious amounts of trichomes..
Taming this tiger was more a matter of aligning her correctly it's been such a fun project the bright sativa buzz of harambes hope apricots influence has been reworked into a flavour powerhouse which now hits you squarely between the eyes..
Green Bling from Holy Smoke Seeds is an exciting new cannabis strain with a superb genetic pedigree. Using elite genetics from friends and colleagues in the industry, the expert breeders at Holy Smoke have created Green Bling by crossing a quick flowering Early Girl strain with Topdawg's stunning Guava 13. Guava Dub Star from Holy Smoke Seeds is derived from a cross of Bubba Kush #13 (Topdawg) x Guava #13 (Topdawg). Our Tre Stardawg we used is a beast!, she's so powerful, and just drips resin. 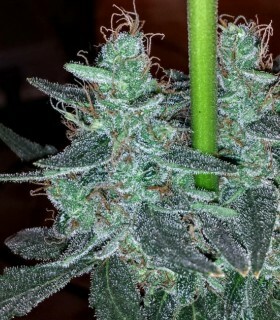 One of my favorite plants to have ever worked with. Her stone is so introspective and powerful' so medicinal. The Bubba 13 brings more excellent pedigree to this hybrid with the Hashplant stocking and firing up this buzz something special! Not much can match the Kong for its raging and intense high, it's an immense buzz that literally roars around your body. Dense, sweaty, super strong, orange gas, intense stone just some the buzzwords from our in-house crew. The strongest of the new Orange Cookie crosses brings the infamous Stardawg heritage to the fore, the influence backs and surrounds the auditorium with immensity translating through the stone and edding huge girth to the final structure. Our mission with the Guide Dawg was to accentuate its exceptional clarity of stone added by the Tre Stardawg ..and in so doing created our most go to strain! 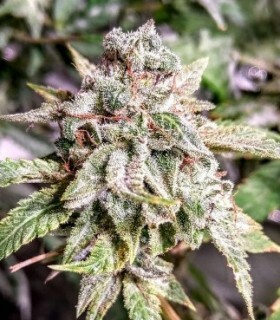 Mob boss is one of those rare gems that produced a pheno we just knew we had to work with, yes she needed some help but we couldn't wait to marry her and the results well they are even more than what we expected. 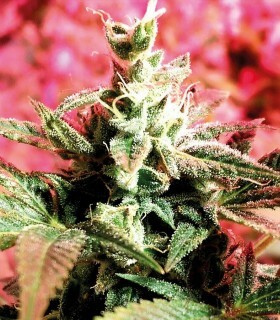 Pink Cadillac from Holy Smoke Seeds is an exciting new cannabis strain with a superb genetic pedigree. 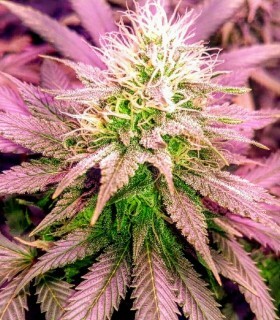 Using elite genetics from friends and colleagues in the industry, the expert breeders at Holy Smoke have created Pink Cadillac by crossing their own Strawberry Diesel strain with Reeferman's stunning Pink Kush. 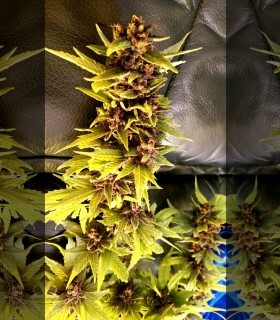 This is a beautifully dark and extremely dank kush. This is the sweet and sour, our pallets so crave. 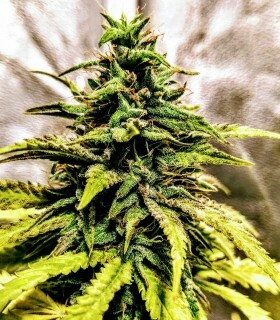 The lemon and grape hash hybrid has such an amazing flavour we just can't get enough of, bearing heavy indica traits - she is very strong and the exceptional colouring really makes her stand out. 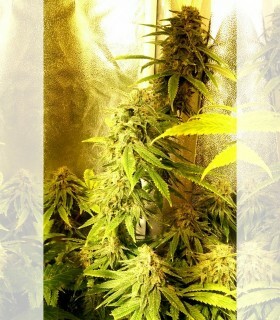 Our banana sativa regularly holds kilograms, with 4 foot long buds very common. 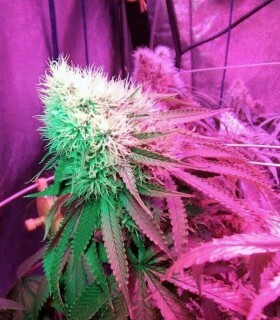 Moulding her with our Strawberry mum is ensured maximum use of the pistol count which swell into massive bracts and monster colas so dense and gleaming in a forest of delightful strawberry and banana crystals. There are four essential parts to this beautiful creation the Bubba Kush, Stone Mountain backcross Tre Star Dawg, Bubba13 and the infamous hashplant cross from Topdawg. 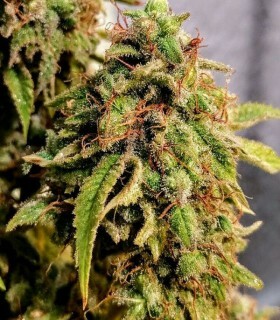 You can't beat the treat that's Bubba Kush but you can add to it ,.she has rock solid fat nugs some of the strongest most sort after on the planet , it's sweet creamy coffee tones mask a very strong medicinal indica world renowned . This is an exceptionally tasty gem!! Strawberry diesel and grape hash collide in a seductive dark pink and magenta Strawberry powerhouse. 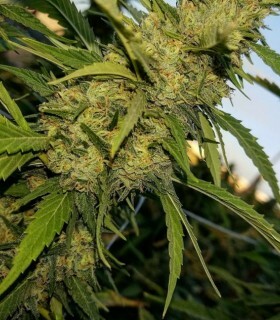 The Strawberry Diesel has spawned countless strains, it's our biggest seller by a long way but it's these new hybrids that are the crux of the amazing genetics that make HolySmokSeeds so very special. 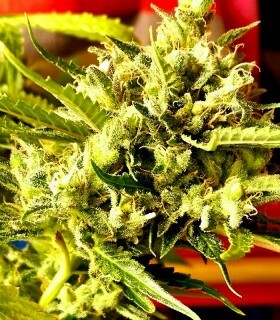 Strawberry StarDawg from Holy Smoke Seeds is an exciting new cannabis strain with a superb genetic pedigree. 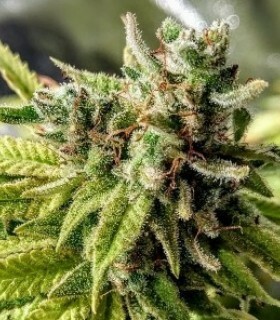 Using elite genetics from friends and colleagues in the industry, the expert breeders at Holy Smoke have created Strawberry StarDawg by crossing their own Strawberry Diesel strain with StarDawg Hash Plant from Topdawg. The brutal block chain Zsweet Inzanity from Ethos combines in this zesty spicy Clementine gassy funk. 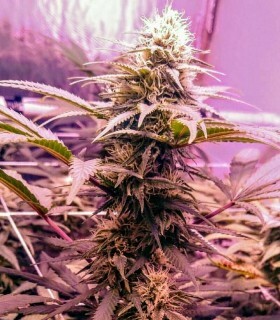 Damn she's strong on every level she's determined and does so, even wet to the touch she's so coated in oils every leaf gleams, this one reaches high on the THC charts and it's plainly obvious. Thunder bud is a brutal bruised and powerful totem on the sweet fruit side of the force whose qualities are only equaled by its stunning looks and immense candy flavor..
We twice dipped the Thunderbud in the Strawberry pot and then out crossed it to Holy's very special Purple Haze to wrap up the most flavorful and fruity bud which has a penchant for really large growth and a powerful buzz. A spectacular hybrid this.. the World famous Stardawg meets our banana Sativa in a clash of the Titans ,.and the results ...a giant is born ! Being born in Africa, holy’s chief breeder Nick, was exposed to weed at a very young age. His early years were spent working with the many different landraces, logging and quantising their potential. At 21, Nick came to Europe, where he delved into the variety of indica’s, separating those with favourable traits. It was a natural course that would lead him to incorporate his trusted African genetics into this melting pot. Out of the 10+ landraces, there really seemed to be no true representative of any, so the job fell squarely on nick, who certainly took the bull by the horns. 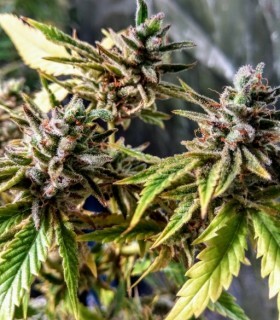 We have immensely strong psychoactive sativa’s in Africa that have either been overlooked or have been too strong for the majority of breeders but strong pot is holy’s Shangri-La and in so doing they have brought fresh genetics to an often stagnant gene pool. Holy smoke have been flying the SA flag in Europe for many years now, honing their technique, culminating in six new super-strains which have been blowing up on the underground scene!! If you haven’t had your hands on them yet, then you’re missing out. The Diesel for example, is just so very more’sh, it’s delicious like a nice sweet: as soon as it’s done you’ll reach for another as it literally melts in your mouth. The infamous Kong established three years ago, has a huge following – it’s phenomenal! The vibration from Kong’s stone is so vibrant, that you just beam from it really nice. Next is a very interesting plant that requires a little more acre but the results are simply marvellous: The Black Honey Haze. It’s spicy sweet aniseed stone lasts from 3-5 hours and is truly a labour of love. 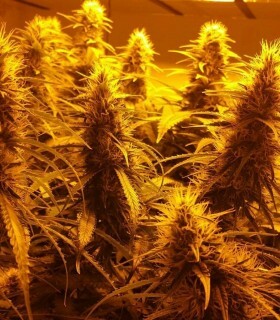 Now, a really rich sweet pungent ripe pineapple, very strong smelling and even stronger growing, the Pineapple Funk is proving very stable in the house of Holy’s genetics as multiple candelabra style buds reach for the sky! These girls are very heavy with specimens reaching the kilo mark. Give them light and step back! This sweet sativa will tantalize everyone it comes into contact with; also a truly lovely daytime smoke. Goldfinger is the next strain out of the Holy vault. 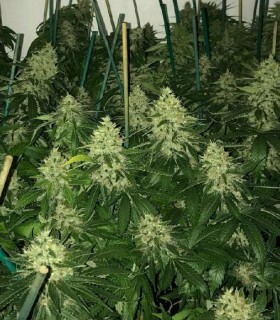 These f1’s grow so strong and with so much vigour with a deeply sticky toffee head banger of a strain, these babies grow a quiver of colas as fat as tennis balls; but sharp and pointy that pierce straight through the veil of modern days blind society. Here’s a stone whose vibe will lead you down a truly thoughtful and introspective time when things stand still. As contemplation draws itself ever closer to realization as the Kong interacts allowing you to drift off. Mouth-watering and imaginative, you know you’re going to have to try this one. 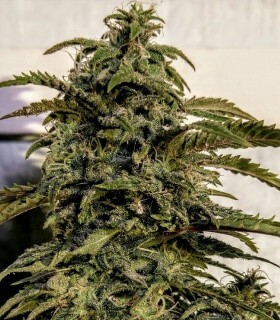 The jackpot is a more commercial cropper – a fruity hash plant that grows one huge central cola, thick and greasy pure headstash, sit back and let it go to work for you. A deep narcotic stone awaits those who do, rounding up the very best of the new generation!! With full flavour and extremely strong THC content at their core and a future project with Simon from Serious Seeds you can guarantee to be hearing a lot more from these boys! !